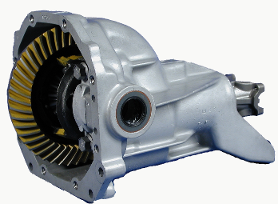 Rebuilt differential with new gear sets, clutch packs, center pin and screw, bearing seals, shim kits, and 1 year warranty. Available in 2:72, 2:87, 3:07, 3:54, and 3:73 gear ratios. Must specify gear ratio and year from the drop-down lists above before adding to Cart. A core charge of $400 will be added to your order. This amount will be refunded once core has been received and inspected. Core must be rebuildable for full core charge refund and returned within 30 days. .